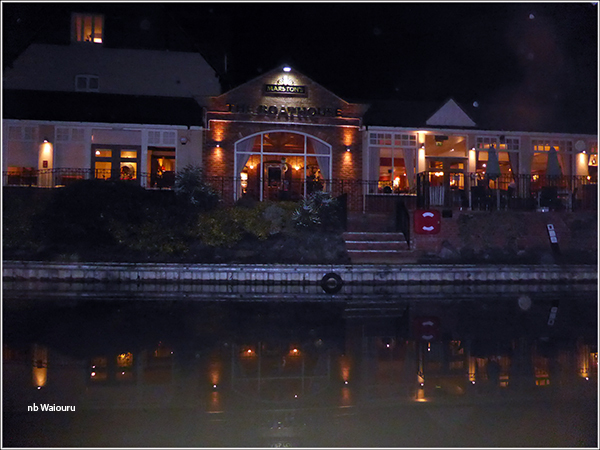 Yesterday evening Jan opened the side hatch an took a photo of the pub on the far side of the canal. An icy mist was already starting to form above the water! I’d gone to the shelter of the pram cover to polish my walking boots when a voice from outside called a greeting. On opening the back flap I found Gary standing beside their boat Muleless which had miraculously appeared overnight and moored behind us! Della then appeared at their cratch so an invitation to join us for morning tea on Waiouru was extended and accepted. A series of interesting conversations then followed. Jan had baked cheese topped bread rolls for lunch. Nothing like fresh bread with tomato filling! 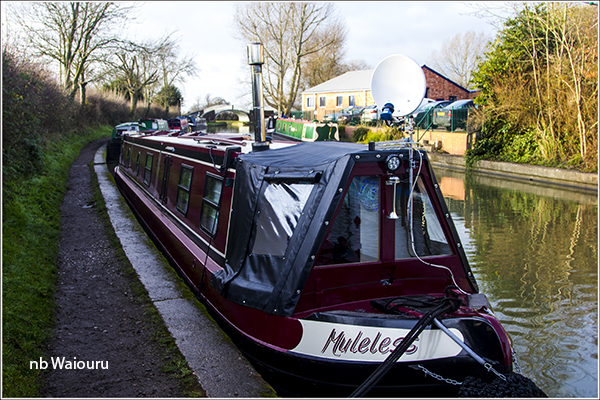 After lunch we went for a short walk to the bottom lock where Jan checked out the small shop whilst I took a few photos. 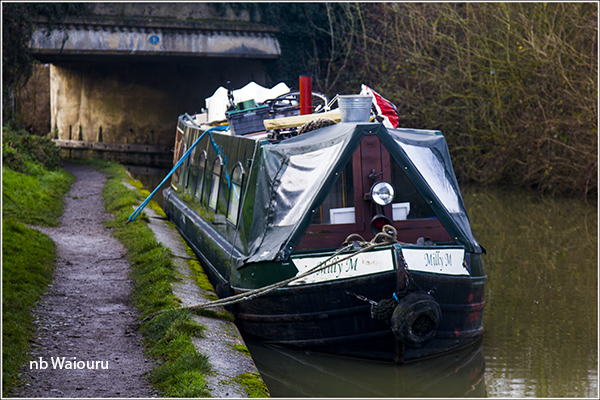 We passed the following boat on the way to the lock. Maffi was moored behind us yesterday but Jan saw him silently slip past us on his way to the water point. He had to pass silently because the Milly M is waiting on a replacement gearbox. Apparently Maffi was doing his Venetian gondola act propelling Milly M with his boat pole. On our arrival back at Waiouru we were invited to afternoon tea on Muleless. 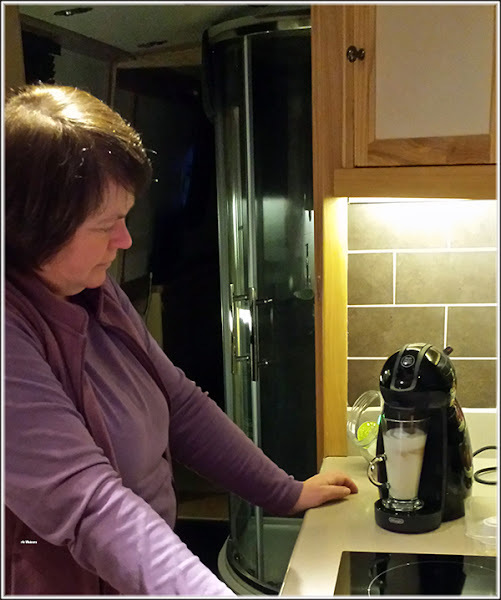 Della has a machine for making delicious coffee and we were invited to sample the end product. I’m not a coffee drinker but willingly accepted a hot chocolate. Jan was rather struck on the idea of owning one of these machines. She has decided there’s not enough space for it on Waiouru but it will go on the list of things to buy for life after narrowboating.